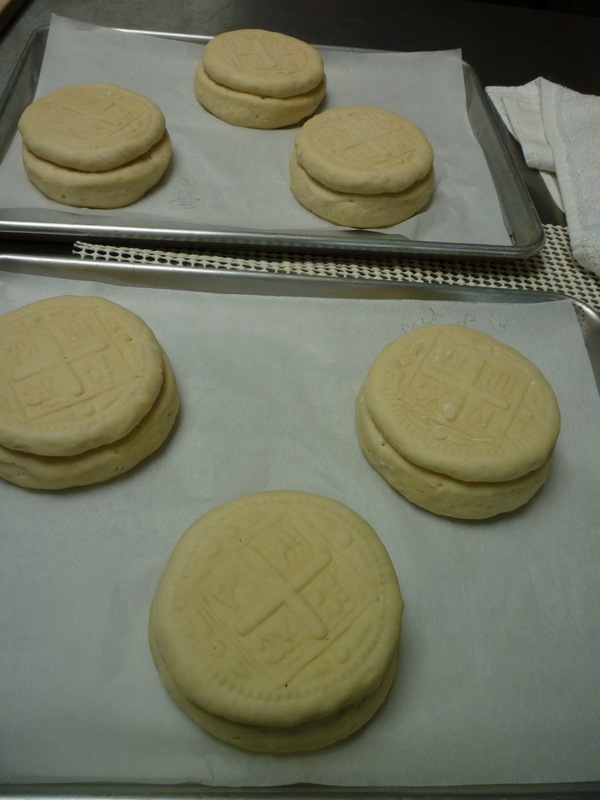 Between now and October 1st our parish has many feast days, so our team of communion bread bakers has a busy season ahead. 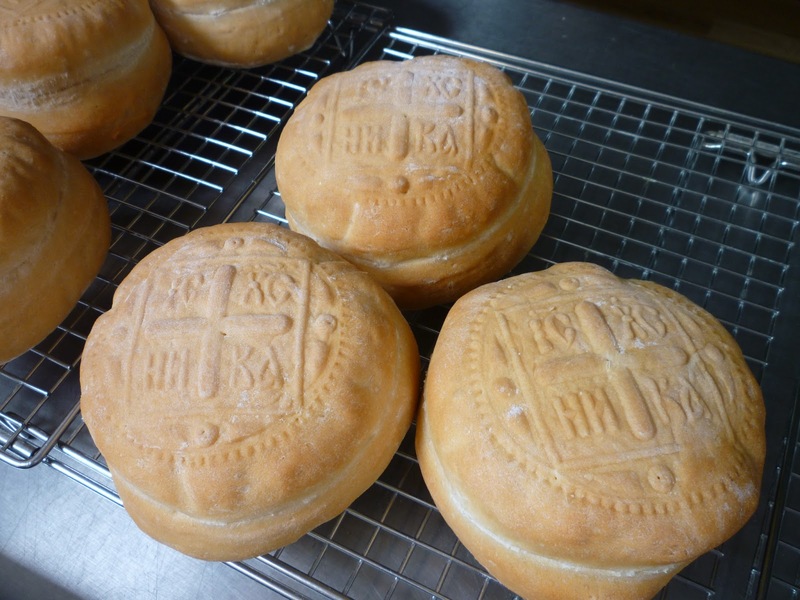 Yesterday three of us worked at making the large loaves used in the altar, and the photos show some of my efforts. At home I’m reveling in glorious vegetables. In the last few days I’ve juiced lots of vegetables raw, and also made big batches of kale and Turkish Green Beans and stir-fried Asian vegetables. 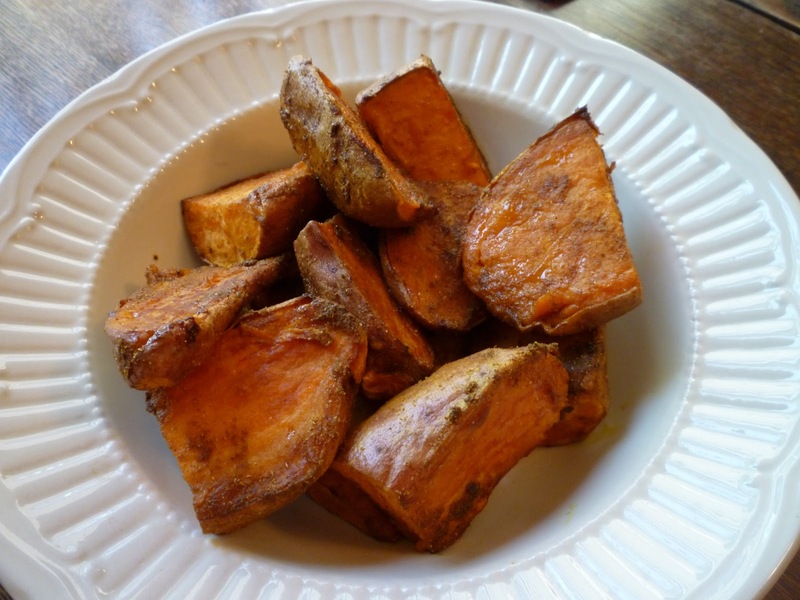 My recent favorite way to cook sweet potatoes or yams is to roast them at 450° or 500° with coconut oil and curry powder. I don’t measure anything, and have used varying amounts of all the ingredients — also different blends of curry spices, plus a little salt. 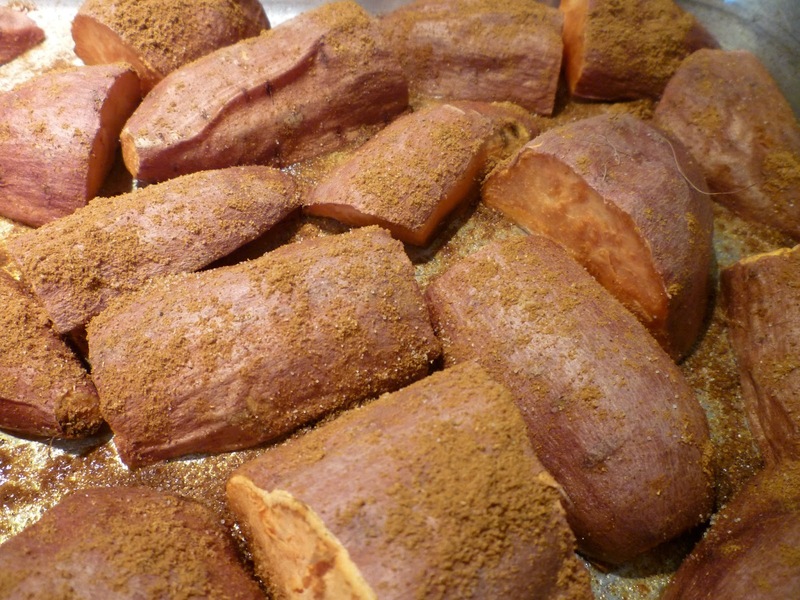 It doesn’t seem to matter if I stir the spices in at the beginning or partway through the baking. I bake them till they are tender. And then I eat them like candy. 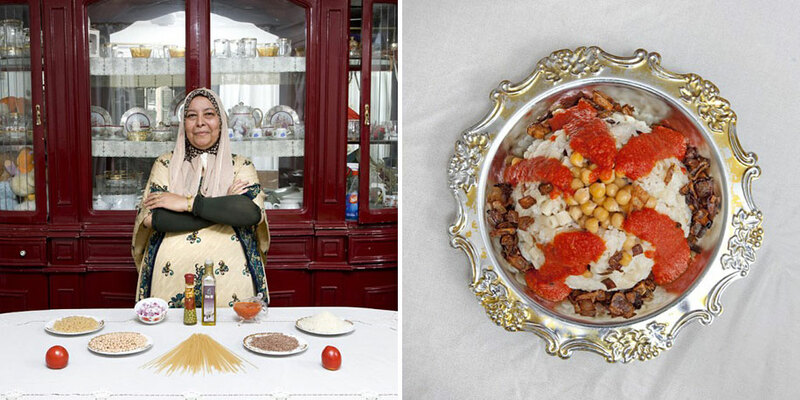 Pippin sent me a link to this photo journal of grandmas around the world and the food they cook. I am considering what dish I might pose with were I asked to participate, and what clothes I could wear that would make me look half as cute as the Bolivian grandma in the collection….you’re right, it would take more than clothes. I love the way the women arrange the ingredients so artfully in the “before” photos. An example is below. The Egyptian grandma looks pleased. From our son Soldier we got a link for a short film you can watch online (less than 15 minutes), about a man in the mountains of Ecuador who is The Last Ice Merchant. It’s always a joy to see footage of a human soul taking satisfaction from hard work well done. But progress means that people can get factory ice cheaply and the old-style ice he sells has become a specialty item. It’s not likely anyone will want to take up the cause of nostalgia once he is gone. But I wouldn’t be surprised if the ice he hauls down the mountain is sweeter than the cheap and more convenient blocks. Another man whose character inspired me this week by way of the movie “Searching for Sugarman” is Sixto Rodriguez, a singer whose music never took off in the U.S. His two records failed to sell, and he lived simply and humbly for decades after, not knowing that his music was hugely popular and motivating and successful in South Africa. When his fans there discovered that he wasn’t dead as rumored, they brought him to that country to do several concerts. Suddenly he is famous — but he didn’t lose his endearing simplicity and generosity. I was impressed at how he seemed to have passed his gentle spirit on to his daughters who are also introduced in the film. 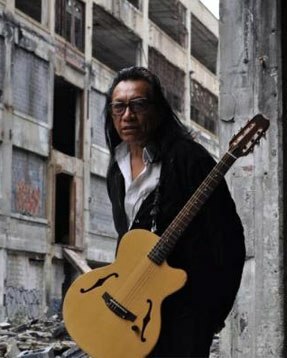 I liked all but one person in this documentary, and I liked Rodriguez’s voice very much, and a couple of his songs. There you have my happy hodgepodge. Oh, and here is what my Mother’s Day lily looked like when we got back from Oregon. Your prosphora looks so nice. I made some earlier this week and they didn't turn out so well. 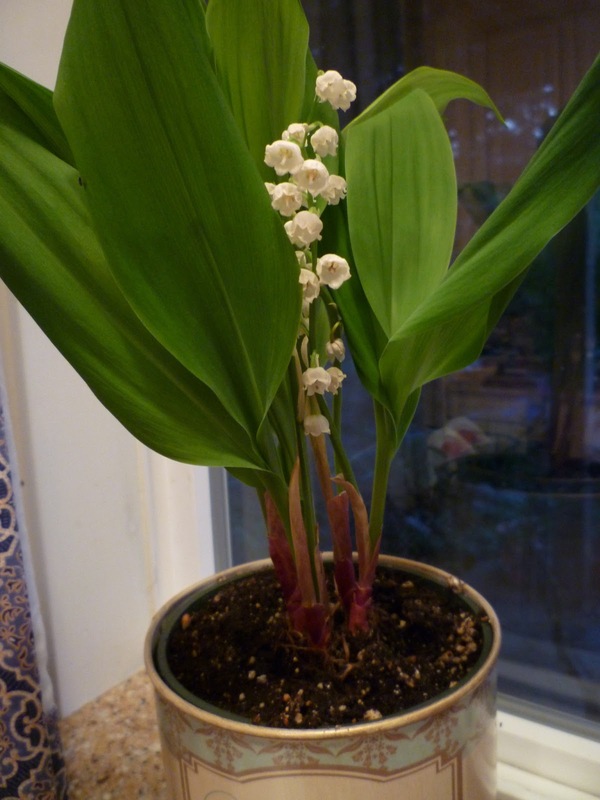 Oh, that lily of the valley is so perfect! what a lovely post! your use of words and photography is wonderful! need to look at some of your links now… 🙂 Blessed Feast and blessed weekend to you! Flours and blessed breads…such good subjects and “Searching for Sugarman” yes..we did watch that from Mr. Glad's suggestion…and then you offer your sugar-woman eat them like candy recipe, yum. Lots of interesting facts and links in your post today.